Having just passed their centennial anniversary, Chevy trucks moved through 2018 facing challenges that needed to be met. From annually resurfacing areas like design and technology to more recent demands of weight reduction and evolving expectations regarding sustainability, the pressure was on. Fortunately for Chevy (and Chevy enthusiasts alike), the automaker could never be accused of resting on their laurels. Across the entire Chevrolet lineup, the iconic Silverado outsells every other Chevy model (be it car, crossover, SUV or truck). 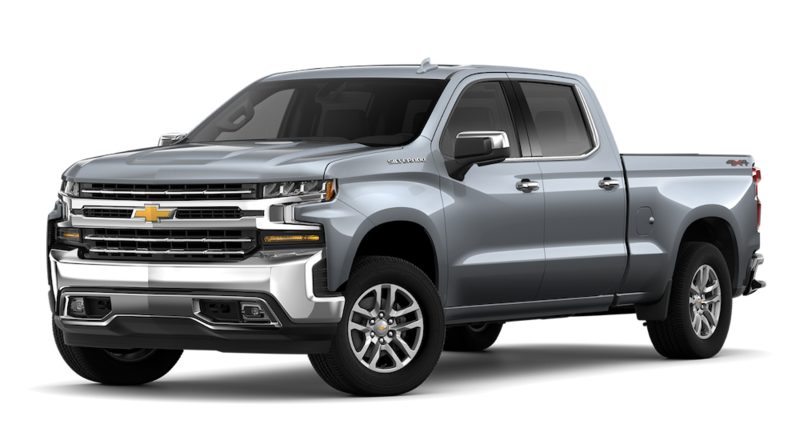 With this in mind, it would be a criminal understatement to say that the unveiling of the 2019 Chevrolet Silverado 1500 was “highly anticipated”. In the months leading up to its January introduction, rumors were circulating as to everything from aesthetic to material choices. With too many speculative articles, videos and blogs to count, all eyes were on Chevy; the pressure compounded further by the warm reception received by competitors, for their 2018 offerings. With weeks having passed since the unveiling, the secret is out. Some of the details related to pricing and full spectrum of powertrain options are still being kept under the lid, but if Chevy was expected to step to the plate with their 2019 Silverado, one thing is clear: they knocked the proverbial ‘it’ out of the equally proverbial ‘park’. If there is one area that no-one should have any concern about, it’s the inclusion of technology. Chevy continually excels in this regard, with few in-class competitors even coming close to challenging their market position. With refreshment of the WT, it’s safe to say that (regardless of trim level selected) the Silverado will feature all the modern convenience and amenity that you can handle. Despite the absence of certain details, we do know that the Silverado will be offered up in a trial of eight trim levels for 2019. Of course, the base level Silverado will continue to the be the WT (Work Truck) which is built in the spirit of the utilitarian purpose for which it is intended. That said, Chevy’s well-executed commitment to technology has trickled down, with the new WT to feature a well-designed infotainment system built around a 7-inch touchscreen. And to infuse a little bit of style, the WT will also discard the Chevy bowtie badging for the bold block-letter Chevrolet across the grill. This refreshed grille will be shared by both the Custom and Custom Trailboss trims. Of the two, the latter boasts trail-rated features including (but not limited to) a 2-inch lift, skid plates, Rancho shocks and locking rear differential. Working the middle of the range, the LT reinstates the bowtie badge, substituting chrome embellishments for the body-color trim seen on the previous trim levels. Indicated by the inclusion of an 8-inch touchscreen interface, infotainment features are expected to expand at this point in the lineup; and a Trailboss variant merges the off-road features previously mentioned above. The first two aim to improve fuel efficiency courtesy of GM’s new Dynamic Fuel Management system, which regulates fuel flow to individual cylinders. Of these gasoline-based options, both a 5.3-liter and 6.2-liter V8 will be served up, mated to a 10-speed automatic transmission. In addition to three (as-of-yet) unspecified engines, the Silverado will also feature a turbocharged diesel option in the form of a 3.0-liter inline six. Needless to say, the anticipation will continue to grow until all details are released. In a segment where weight reduction was key, Chevy puzzled the pundits and silenced the naysayers by actually increasing the Silverado in size. This larger footprint consists of a 3.9-inch increase in wheelbase (over its 2018 counterpart) and the truck’s overall length by up to 1.6 inches. And in a game of inches, the change was worth miles. Regardless of which cab configuration is selected, the redesigned 2019 Silverado will offer up to 7 inches of additional bed width, making it more versatile for hauling. And in terms of comfort, rear passenger in four-door models will enjoy up to 3 full inches of additional stretching space. Combined with the inclusion of additional in-cabin storage, it’s hard to argue the designers’ success in crafting a more versatile and accommodating Silverado. Considering the gauntlet thrown down by the competition’s decision to integrate lightweight aluminum into their bodywork, how would Chevy go about offsetting (or justifying) their increase in size? Considering the amount of speculation, Vegas oddsmakers could have made a killing leading up to the reveal. Ultimately, Chevy chose to limit the use of lightweight metals, restricting it to the hood, doors, and tailgate. This choice fell in line with their position that aluminum wasn’t a suitable material upon which weight reduction should rely. Re-engineered steel allowed Chevy to retain strength and durability, while the approach allowed them to control the weight of the steel used, assuring stronger roof, bed, and fenders. Overall the choices in materials allowed for a 450 LB reduction in the weight of a crew-cab Silverado – meeting the challenge that had been issued. If you’re anything like us, this is exactly what you’ll be doing as we pass through 2018. Channeling a sense of revitalized thrill, it’s hard to argue that the Silverado is easily one of the most anticipated offerings for the coming model year.